Although money can give us security, entertainment and influence, money can also be a source of stress and worry. Almost everyone deals with financial concerns at one point or another, which is why it is so important to start creating habits now that can help you be smart with your money. Fortunately, there are many ways to improve your financial situation and to successfully take care of your funds. The term “financially stable” has many definitions. For some, it means having a high-paying job and a house. For others, it is having an emergency fund that can last several months. One of the most universal definitions of this idea is to have enough money to pay bills and charges with little or no debt. It can be hard to accomplish this, especially with the unpredictable problems that can occur in life. However, it isn’t hard to start focusing on what you can control and work from there. There are numerous habits that financially stable men and women develop. All it requires is commitment, repetition and smart choices. 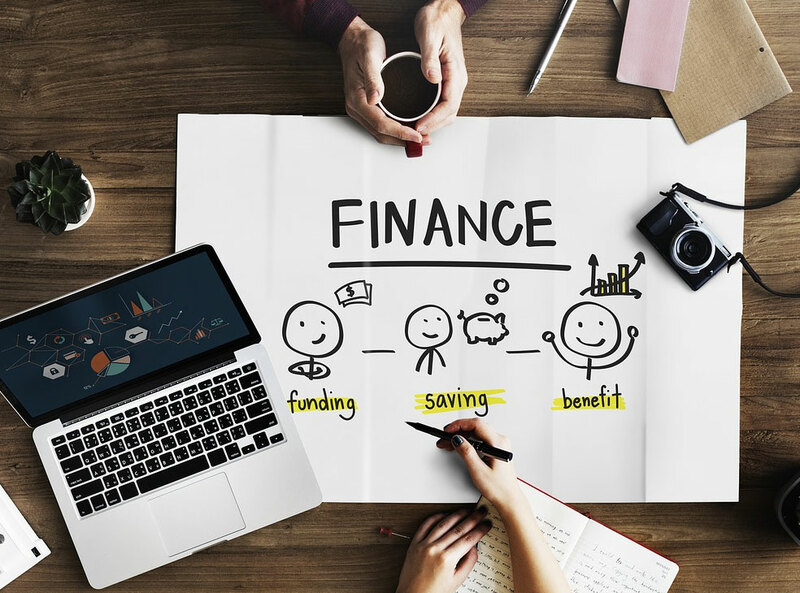 If you are looking to get out of debt and start becoming financially secure, here are four common ways you can find success in your financial endeavors. Many of these ideas and habits are common to the world, but they have proven to be highly valuable. With new knowledge from this article, evaluate how you can improve your financial stability. There are so many ways your money can disappear from your wallet and rarely any automatic ways to regulate and minimize expenses. It’s important to take matters into your own hands and hold yourself accountable. Here are a few ways you can start doing this today. A budget is your personal financial guide. It shows you where your monthly expenses are, how much you can spend, and how much you need to earn to stay afloat. Sticking to a budget can help you on a monthly or biweekly basis by helping you spend only what you can afford. You can also incorporate savings into your budget plan, which can help you in emergencies or when dealing with large investments that are important to you. Making a budget isn’t very complicated. There are many apps out there that can help you, as well as other types of budget outlines that can work for you. To create a budget, figure out your net income and calculate all expenses. Once this is complete, you can set aside a portion for savings and start tracking your progress. At the end of the month, you can look through your budget and tweak anything that doesn’t work for you. Sometimes expenses are larger than the income you receive. This can quickly lead to debt or a loss of savings. One way to prevent this from happening is to stop yourself from overspending. Be aware of what you can afford and don’t buy anything that will throw off your budget. Along with overspending, impulse spending can easily lead you into debt. The urge to buy something as soon as you see it, whether you really need it or not, can lead to some serious consequences. This often happens with credit cards because they are so easily accessible. Try to avoid impulse buys, and only purchase items if you really need them or can afford them. Saving money for the future is a common habit for financially stable people. This is because they are preparing for future problems or events that can cause financial trouble. By investing in personal savings, you are proving that you are responsible and prepared. Everyone has long-term goals that they are looking forward to. However, there is so much more you can do than just look forward to a goal. You can start saving now. Whether it is a house, retirement or a vacation, setting a little money aside every month can really help you get closer to those goals. A great way to save is to open and use a bank account. A bank account can give you a secure place to store and use your money. Many accounts can also help you earn more with interest and rewards. In the long run, a bank account can be used to help you in all financial aspects of your life. To open an account, identify what you want and need in your life. This can help you apply for the right account. Once you have done this, start applying to the bank of your choice. You’ll likely need proof of your address, identification and a minimum deposit for your account. After you have submitted your application and signed all the needed documents, you can set up the account. A savings account can be a place to store your savings, but there are also different types of accounts that can help you earn money. You can also get a checking account that can be used for all kinds of payments. Emergencies can happen at any time, and they can often be a large expense to you. Therefore, it’s a smart idea to have some emergency savings on hand. That way you don’t have to pay precious funds towards the emergency and risk getting into debt. Saving a little bit every month can soon add up to a comfortable margin of safety. There are many myths about credit cards that seem scary or mystifying. Surprisingly, credit cards are pretty simple to use sensibly, as long as you make wise decisions and are always on top of payments. Credit cards allow users to borrow a certain amount of money to buy products and services. When the bill comes in, you are expected to repay the bank in full for what you purchased. It’s very important to pay all your credit card bills on time to avoid fees and interest. Missing a payment can lower your credit score as well. Interest can be a huge issue if you’re not careful. After purchasing something with your card, you are allowed a grace period where you can repay everything. However, if you don’t pay in full by the end of the grace period, the credit card issuer automatically charges you interest. Some interest rates can get very high. The best way to use your credit card wisely is to pay everything in full to avoid paying more than you must. It makes sense to only buy things that you can pay off the moment the credit card bill comes. This can prevent interest charges and can even increase your credit score. When possible, try to stay within your budget and pay off anything that is due. While the habits previously mentioned are great ways to become financially stable, it’s possible that you are already in debt. The best way to deal with these debts is to take charge of your financial situation and actively create a plan that can help you. Here are a few things you can do right now. There are many ways proven to help you get out of debt quickly, but the “ladder method” is one of the top techniques. It all starts with keeping track of your debts and choosing how to clear them wisely. Begin by listing your debts. Put the debts with the largest interest rates at the top and the smallest at the bottom. Set aside enough money to pay all minimum payments, and then put your extra money toward the debt at the top of your list. This helps you eliminate the accounts that will cost you the most in the long run. Continue to pay in this method until all your debts are paid. While this may seem like a long and slow process, it is mathematically proven to help you pay off debt the fastest. Interest really adds up in the end, so by eliminating the accounts with the highest interest rates, you can protect yourself from heavy costs later on. If you have debts, you should be focused on paying them off. This means that you should consider eliminating any expenses that you don’t really need to pay for. Pull your budget out and figure out which areas you can spend less on and which areas you can remove entirely. Whatever you choose to do, create a plan that you can follow. Establish what you need to get done each month and stick to it. With a plan in mind, you can save money and make decisions that can ultimately lead to your end goal. No matter where you are in life, you can improve your financial situation with successful habits and smarter decisions. The little things add up quickly and can either help or hurt you. Awareness is key, and as soon as you start taking control of your incoming funds and past debts, you can start making progress toward a financially secure future.